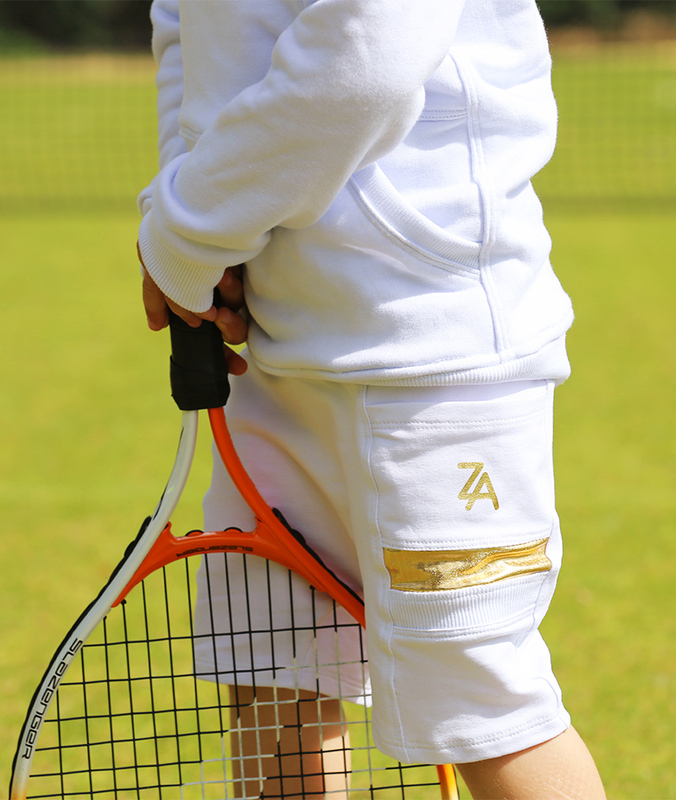 These designer white tennis top and shorts come with metallic gold logos guaranteed to catch the eye of any opponent. You are certain to receive compliments both on and off court when it comes to the fans of tennis fashion. Check out these new external ball pockets with their stunning metallic gold set on crisp white high quality cotton rich fabric. 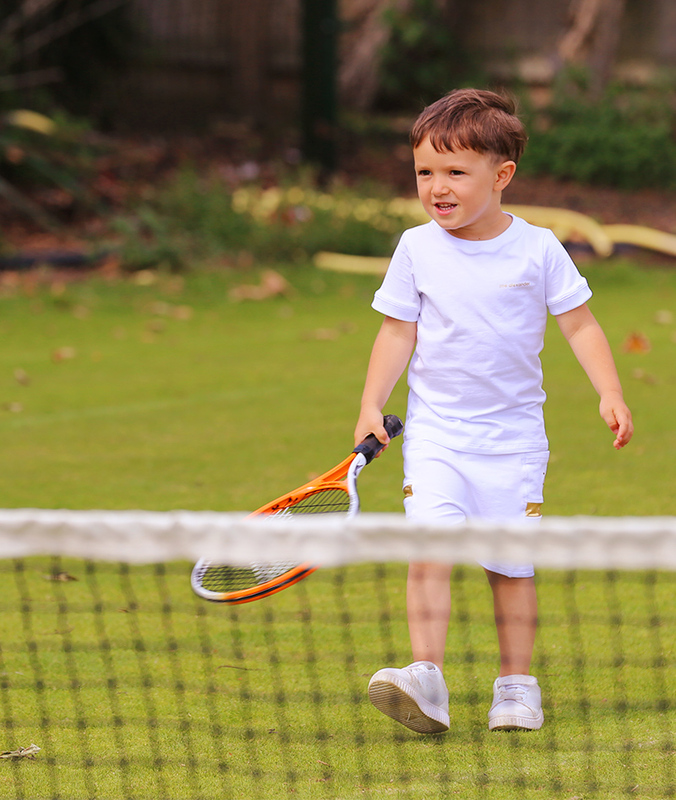 Here are some snap shots of our latest recruitment wearing the new Wimbledon White Boys Tennis Outfit. 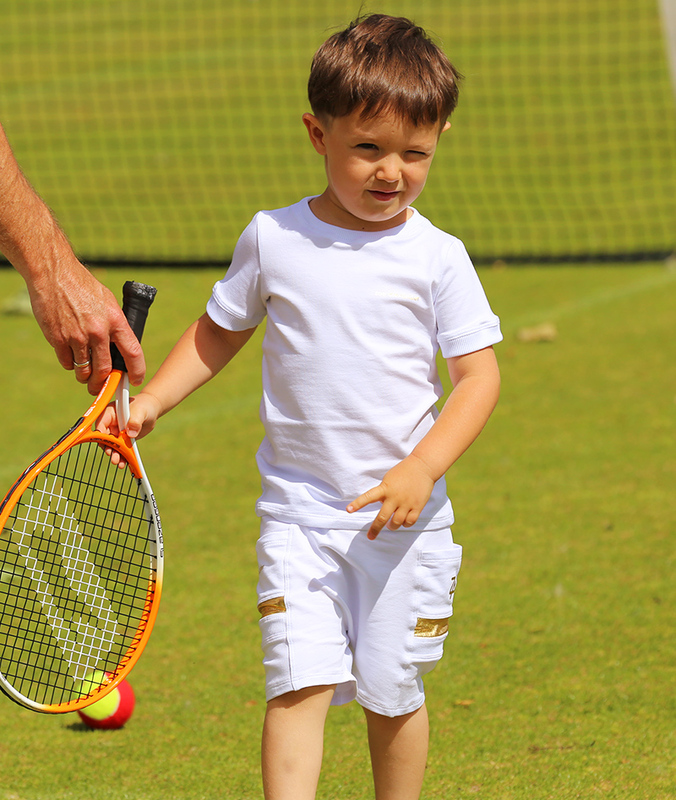 This entry was posted in Boys Tennis Clothes and tagged boys tennis apparel, boys tennis clothes, boys tennis clothing, boys white tennis shorts, boys white tennis top, junior tennis apparel, junior tennis wear, tennis clothes shop near me, white tennis clothes for boys, white tennis gear.